Units - (Imperial) Units - (Metric) Cage Size: 120 sq. in. How Big Should a Hamster Cage Be? How Much is a Hamster Cage? 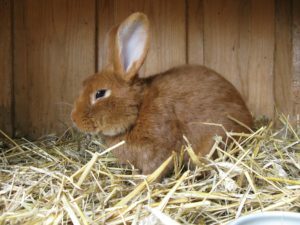 The minimum cage size for dwarf hamsters is 120 square inches, and the minimum cage size for Syrian hamsters is 150 square inches. 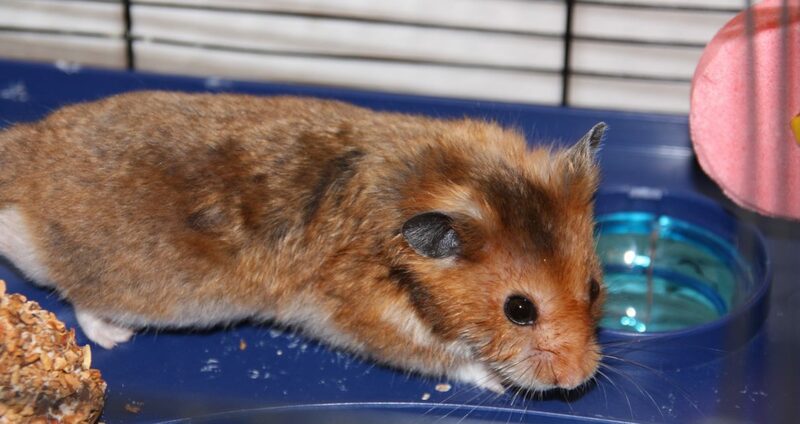 Syrian hamsters are very territorial, and for that reason, Syrian hamsters should always be kept alone in a cage. Dwarf hamsters, on the other hand, can live together as long as their cage is large enough to give each hamster their own personal space. 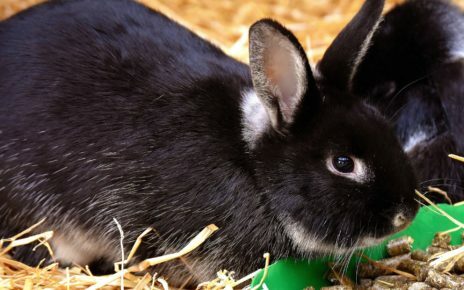 You can use the hamster cage size calculator located at the top of this article to figure out the ideal hamster cage size you will need to house multiple dwarf hamsters. As was previously mentioned the minimum cage size for dwarf hamsters is 120 square inches. 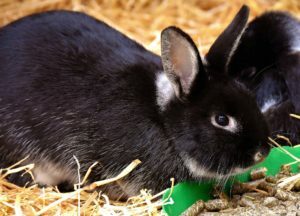 This number is the RSPCA minimum hamster cage size, and it should act as a baseline for when you are making a decision on your hamster cage size requirements. Of course, a cage that is only 120 square inches should not be considered the ideal cage size for a single hamster. If you have room in your house and your budget, then you should try to get as large of a cage as possible. 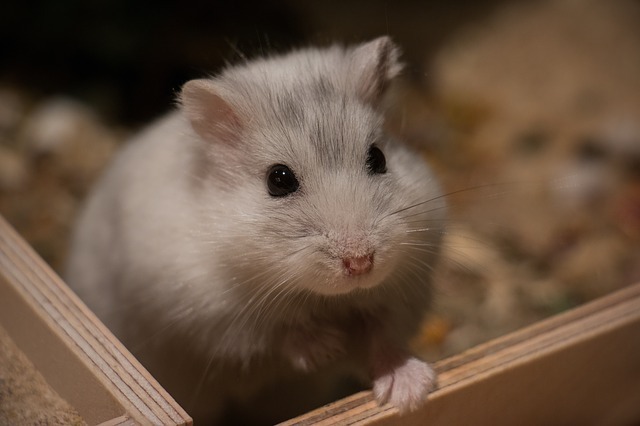 Your hamster will appreciate the extra space, and another added bonus is that cleaning and maintaining a larger cage will be easier for you in the long run. 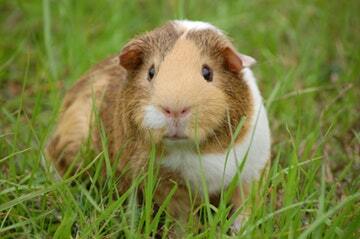 The RSPCA recommends a minimum cage size for Syrian hamsters of at least 150 square inches. 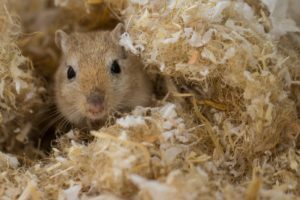 Even though Syrian hamsters have to be housed alone due to their territorial nature, that doesn’t mean they need to live in a small cage that is limited to 150 square inches. 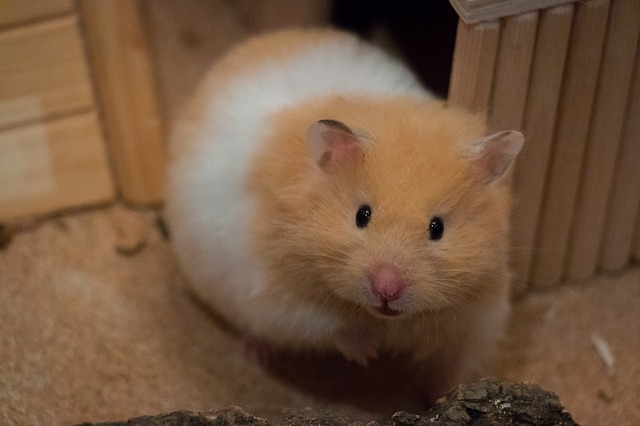 A Syrian hamster like any other pet will appreciate having more space to explore and to run around in. As the old saying goes “bigger is better”, and in the case of hamster cages following this old adage will make life better for both you and your hamster. 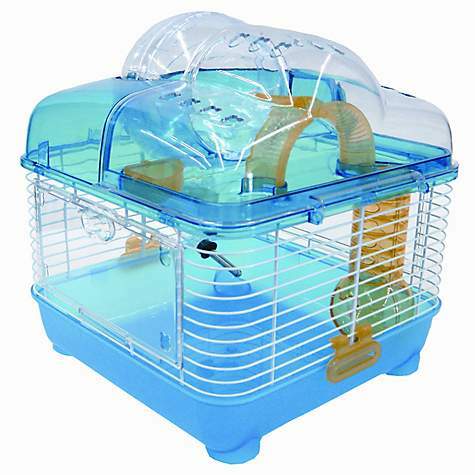 The YML 3 Level Plastic Clear & Blue Hamster Cage (Buy Online) is one of the best cages for housing multiple hamsters. This cage has a footprint of 100 square inches, but when you take into account the added space on all three levels the internal area of the cage is around 220 square inches. That makes this cage large enough to easily house up to 5 to 6 hamsters. This cage comes with a wide assortment of included toys and accessories. First, it comes with a water bottle and one full-size dish and one mini dish, so you won’t have to go out and buy these items separately. 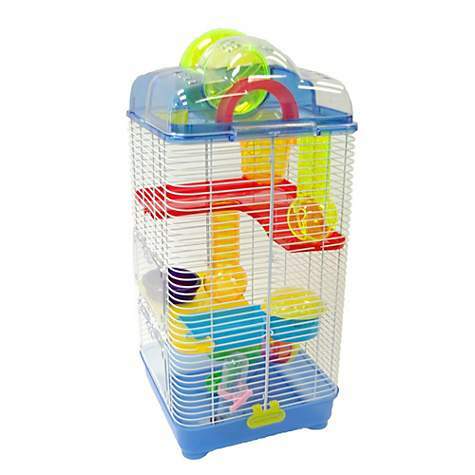 Your hamster will also love exploring all the slides and tubes that come with this cage. Another nice feature is the detachable hamster ball which can be used by your hamster to run around the house, or when you leave it attached to the cage it acts as an exercise wheel. The Kaytee CritterTrail Triple Habitat (Buy Online) is a modular hamster habitat that has a set of features that both you and your hamster will really enjoy. This cage has an internal area of 198 square inches, which makes this cage large enough to house 3 to 4 dwarf hamsters. The Kaytee CritterTrail Triple Habitat comes with almost everything you will need when you get a new hamster. Inside the box you will find a food dish and a water bottle, so you won’t need to spend any extra money on those items when you get this habitat. This habitat kit also comes with an exercise wheel and a complete set of tunnels that connect to a unique dome hideout. This habitat is compatible with a wide range of critter trail accessories. That means you can expand this cage by simply adding more tunnels. Multiple habitats can also be linked together if you plan on adding more hamsters in the future, or if one of your hamsters happens to have a litter. 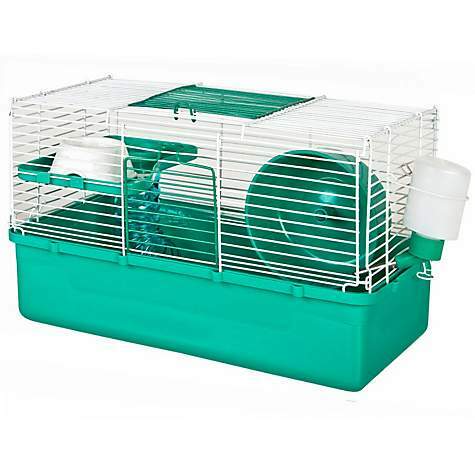 The Prevue Hendryx Three Story Mint Green Small Animal Cage (Buy Online) is a classic cage that offers a good deal of space for any size hamster. This cage has a footprint of 170 square inches, and if you take the two wire mesh levels into account this is almost a 360 square inch hamster cage. That makes this cage large enough to easily house 8 to 10 dwarf hamsters, or you could use it to keep one Syrian hamster in their own little hamster mansion. This cage has a classical design with wire mesh ramps and platforms. It also comes with an exercise wheel and a hamster hideout shaped like a cute little house. The large wire platforms are suitable for both dwarf and Syrian hamsters, and they are much easier to clean than solid plastic. This cage also has multiple doors so you will always have easy access to your hamsters. One door is located on the side of the cage, and the other door is conveniently placed right on top of the cage. The dual doors will make it much easier to reach your hamster no matter what level you find them hiding on. This cage also comes with a nice pullout litter tray that will really help out a lot when it comes time to do some cage maintenance. 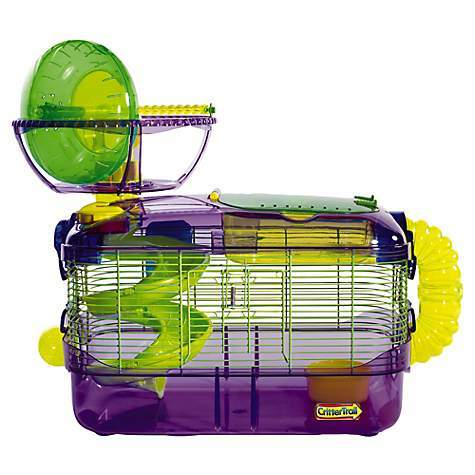 The Super Pet CritterTrail Two (Buy Online) is the best cage for two dwarf hamsters. This habitat has a base that measures 168 square inches. That makes this cage just the right size for keeping two dwarf hamsters. 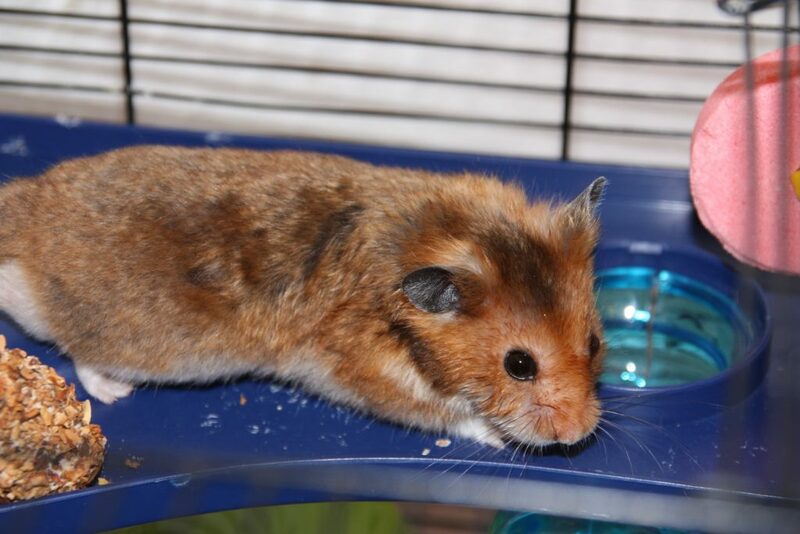 This cage also meets a Syrian hamster’s minimum cage size requirement since it is larger than 150 square inches. This habitat kit comes with almost everything you will need for your new pet hamster. First, and most importantly it comes with a water bottle and food dish, so you can give your hamster some food and water as soon as you get this habitat setup. This habitat also comes with an exercise wheel and multiple modular climbing tubes. There are also two large removable plastic platforms that are included with this cage that will help increase the overall internal living area. 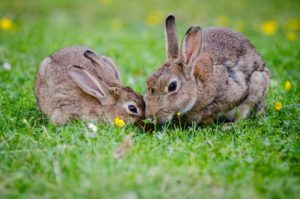 This habitat is also fully compatible with all the CritterTrail accessories on the market, which means your options for expanding this cage will be nearly limitless. 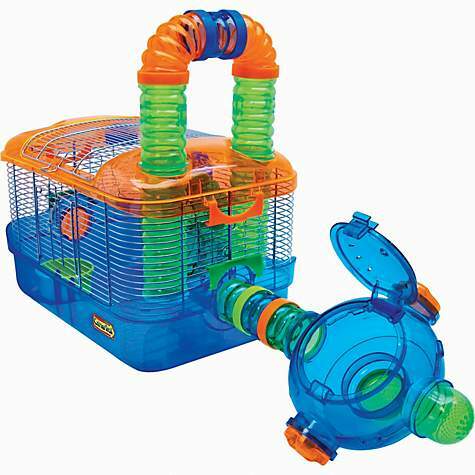 The Super Pet CritterTrail X (Buy Online) is a large hamster habitat with a lot of fun additions for both you and your hamster. This habitat has a total internal living space of 230 square inches, which makes this cage large enough to easily house 4 to 5 hamsters. This habitat kit comes with a water bottle and a food dish as part of the overall package. It also comes with an exercise wheel, climbing tunnels and a spiral slide. The exercise wheel is located on top of the habitat, so it won’t take away any living space from inside of the cage. Your hamster will be able to enter and exit the exercise wheel by climbing up the spiral slide. Then when they are finished in the wheel they can have some more fun and slide right down into their cage. Like all other Kaytee CritterTrail products, this one is fully modular and expandable. The expansion ports are fully compatible with CritterTrail, Habitrail and SAM systems. 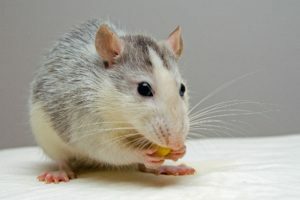 That means both you and your children can have fun building complex tunnel systems, and if your hamster family grows you will be able to connect multiple habitats together. 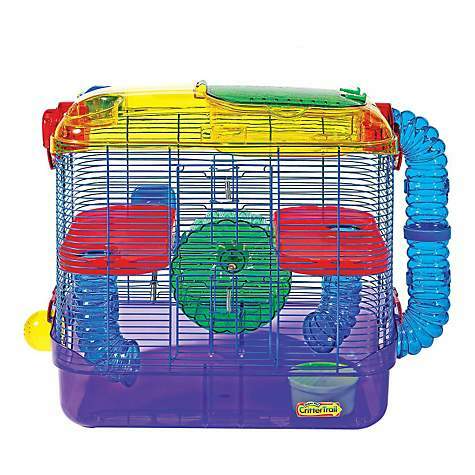 The WARE Home Sweet Home Teal 1 Story Hamster Cage (Buy Online) is the best cage for Syrian hamsters. Since this cage is just about 150 square inches it is just the right size for keeping a single Syrian hamster, or it would also be a perfect fit for two small dwarf hamsters. There are a nice set of accessories included with this cage even though it has a very low price. You actually get both a water bottle and a food dish included with this cage. There is also an included exercise wheel and a detachable shelf. The cage also has two doors with one located on the top and the other on the side. 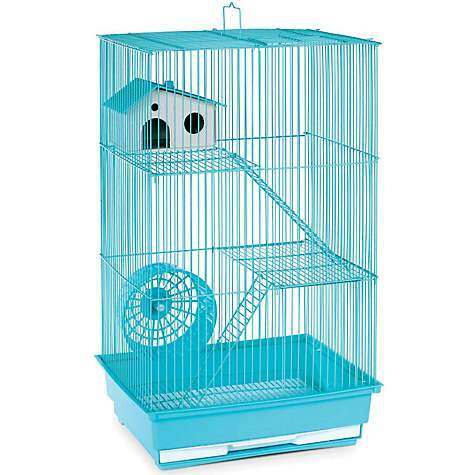 Overall if you need a good quality low price cage for a single hamster, you can’t go wrong with the WARE Home Sweet Home Teal 1 Story Hamster Cage. The YML Clear Blue Hamster Cage (Buy Online) is a small hamster cage suitable for travel or as a temporary habitat. This cage is quite small since it has a footprint of only 100 square inches. That means this cage is a little smaller than the recommended 120 square inches of floor space needed to house a single dwarf hamster. Even though this cage might be a little small, it still comes with a full set of accessories. Both a water bottle and a mini dish come included with this cage. There is also an exercise wheel and a critter tube for your hamster to climb up and play around in. 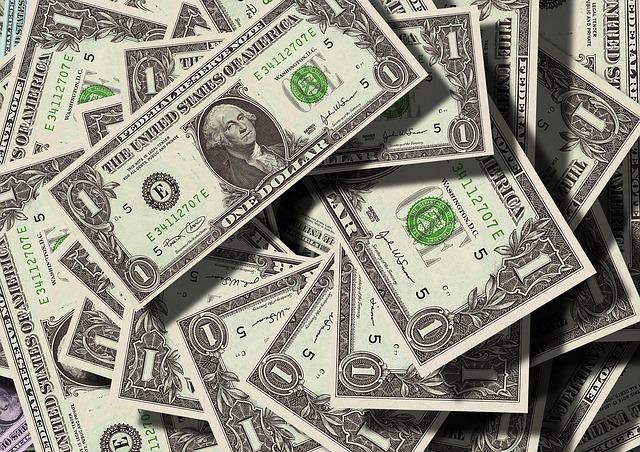 The price of a hamster cage can be as low as 20 dollars and as high as 100 dollars. In most cases, larger cages tend to come with higher price tags. If you plan on housing multiple hamsters in a single cage, then you should plan on spending at least 50 to 60 dollars. Of course, some cages will cost more due to their added features like tunnels and other accessories. If you don’t need these added items, then you can always get a bare-bones cage and then add your own accessories later.